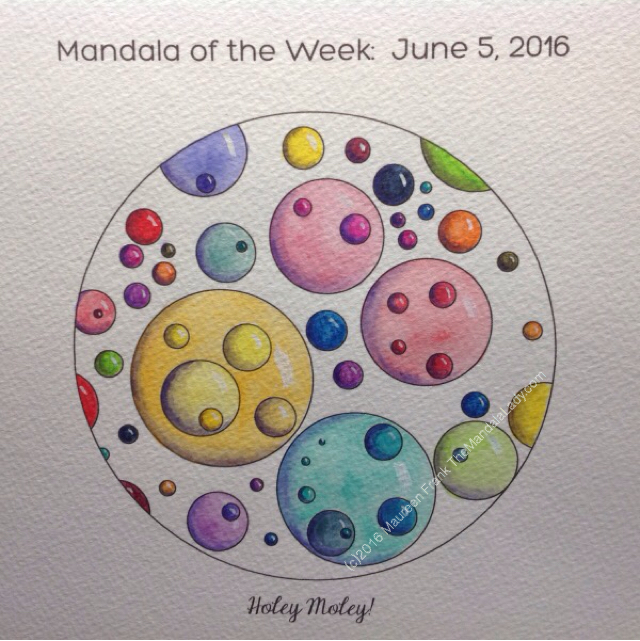 I present my coloring/painting of this week’s Mandala of the Week: Holey Moley! (from Sunday’s MotD post). When I started painting them, they became more like orbs than holes. Then towards the end, I saw them as cells under a microscope, dividing and multiplying, growing and expanding. Today’s MotD reminds us how with each step we take towards making our dreams a reality, the “cells” of these dreams divide and multiple, like a rippling effect…some of which we notice right away, while others occur in other dimensions appearing in our reality at a later date. For every step we take, many more happen in return.